Trying to find prices on a charter bus to rent can be a real significant challenge. 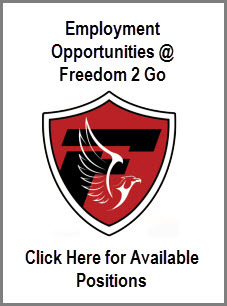 At Freedom 2 Go Charter Bus Services our rates are very competitive compared to the overall market. There is so much to do in Cleveland it can be overwhelming at times. Renting a charter bus for your party has become a popular option but, many are wondering is it too pricey. When visiting Cleveland, Ohio there are many great destinations to travel to in your Charter bus including The Rock n Roll Hall of Fame, First Energy Stadium, Cedar Point, The Cleveland Metropolitan Zoo and many more awesome landmarks the city has to offer. Not only are they are so many different options available to pick and choose from when it comes to charter buses in Cleveland but many companies have all kinds of buses, all kinds of charters, and all kinds of packages and promotional codes/coupons that you will be able to utilize upon booking with them. Figuring out exactly how much it’s going to run you to rent a charter bus will also be determined by how many people are going to be going on your charter and whether or not the specific charter company you are hoping to work with offers group discounts. The overwhelming majority of the charter companies out there do infact offer discounts – and many of them run their own specialty trips designed for large groups that are heavily discounted right off the bat – so you should be able to save some money there as well. In an effort to help you save even more money taking advantage of a charter bus we’ve had together a couple of quick tips and tricks in this guide that we think you’re really going to appreciate (and your wallet will likely appreciate them even more than that!). One of the easiest ways to get to a significant discount on any charter bus is to ask the charter company if they offer some type of group discount, especially if you be traveling to a premier destination that they visit quite regularly. The overwhelming majority of charter bus companies will in fact offer you a deal on these kinds of traps, mostly because they’d love nothing more than knowing ahead of time that they’ll be moving a full bus of passengers – paying passengers – to that destination on that specific date. In an effort to drum up more business for charter bus stores, many of the most popular companies in Cleveland (and around the nation, for that matter) are working with third-party companies and organizations to put together different deals and discounts via their distribution methods. Organizations like Groupon are well known for offering significant deals and discounts on charter bus trips and packages, but there are other operations and third-party websites that you should look to take advantage of as well. It’s not uncommon to save anywhere between 30 and 50% off of traditional retail rates with this kind of third-party discount.